[Haley] turns time on its side. In the customhouse of his tales, ghosts mingle with living folk, childhood in Leeds with adulthood in the South Seas. 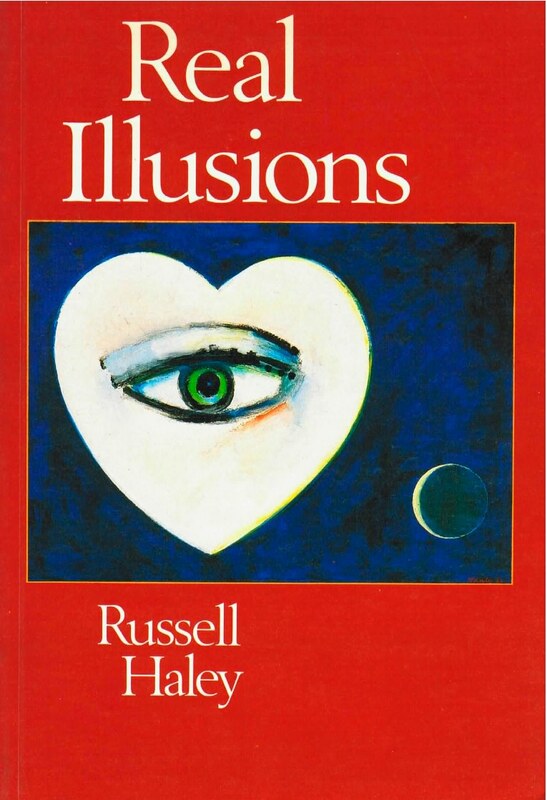 Russell Haley has been dubbed ’probably / The best Yorkshire surrealist writing in New Zealand.’ The joke teasingly anticipates the tales in Real Illusions. These fictions range across specific locations (especially Yorkshire, especially New Zealand) but they also explore all of the ’dislocations’ which lie between. Real Illusions is a book about migration––haunted by journeys, bridges, ancestral ghosts; mirrors and houses, families, coastlines, landscapes which have the disturbing familiarity of dreams. Events take place in that territory where history and imagination manoeuvre and collide. Each of the stories sets out from the point defined by Salman Rushdie in his novel Shame: ’As for me: I, too, like all migrants, am a fantasist. I build imaginary countries and try to impose on them the ones that exist. I, too, face the problem of history: what to retain, what to dump.’ Real Illusions is a collection of strikingly individual stories but is also something more. Russell Haley has constructed a discontinuous narrative which seeks at every point for continuities––and he writes in a prose which is alert and supple, stretching its skin from one place to the next.